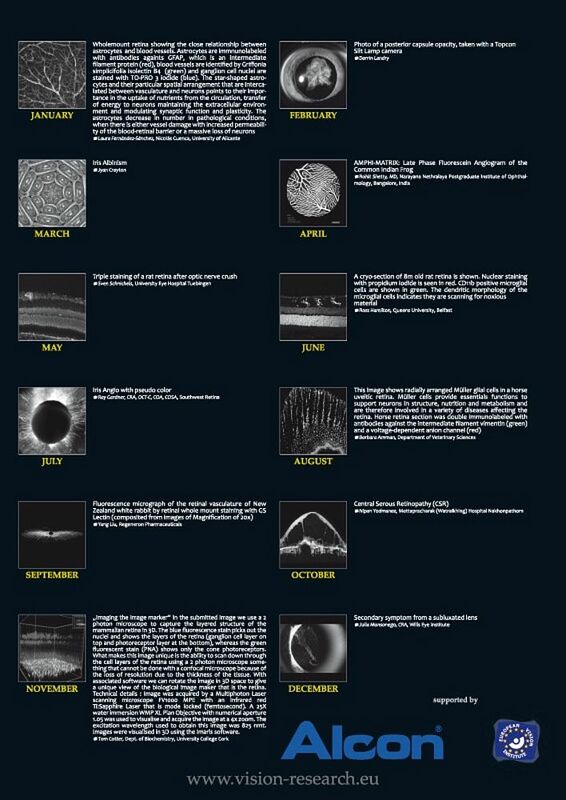 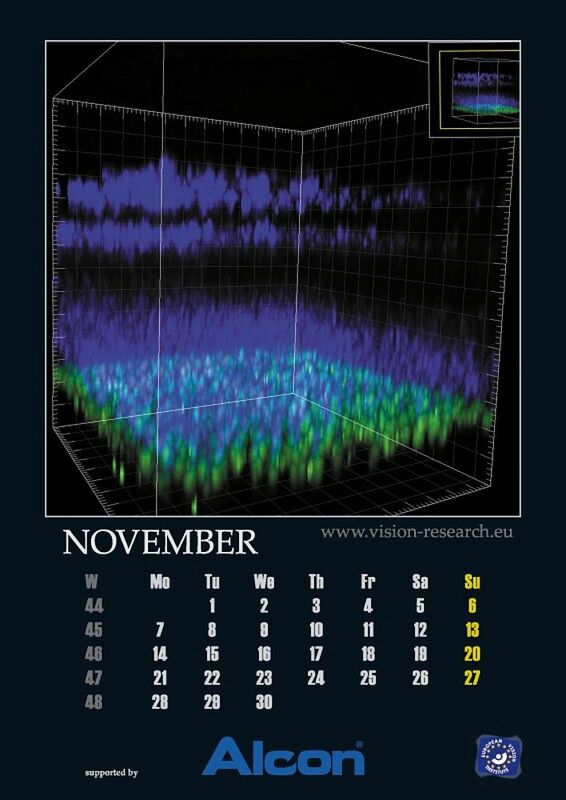 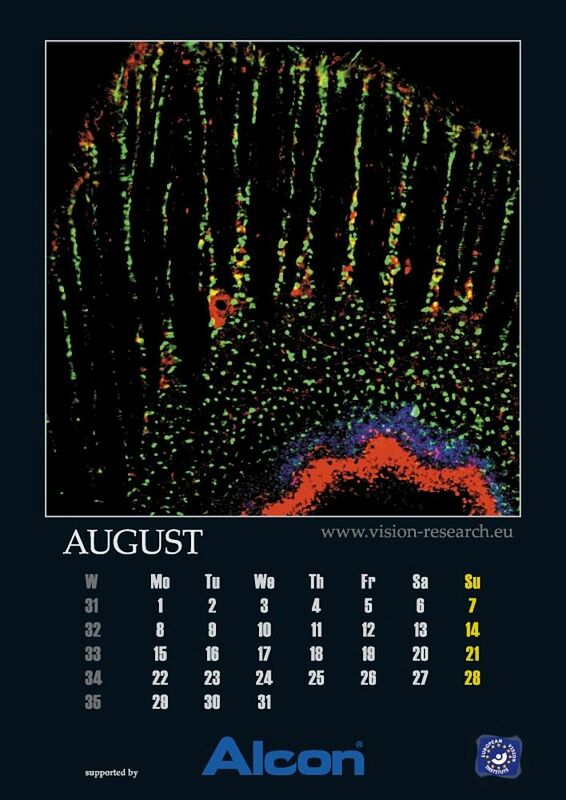 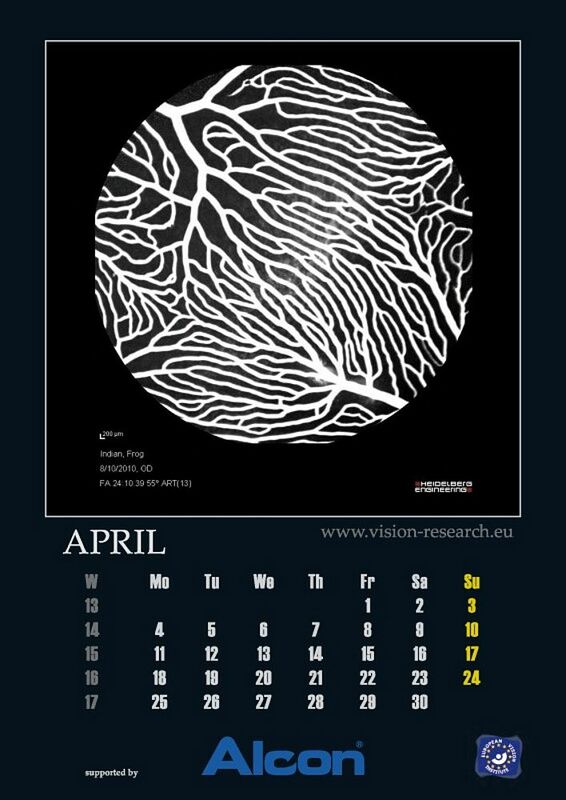 The European Vision Institute (EVI) is pleased to present the 2011 edition of the calendar to share the beauty and grace of this exciting field of biomedicine and life science. 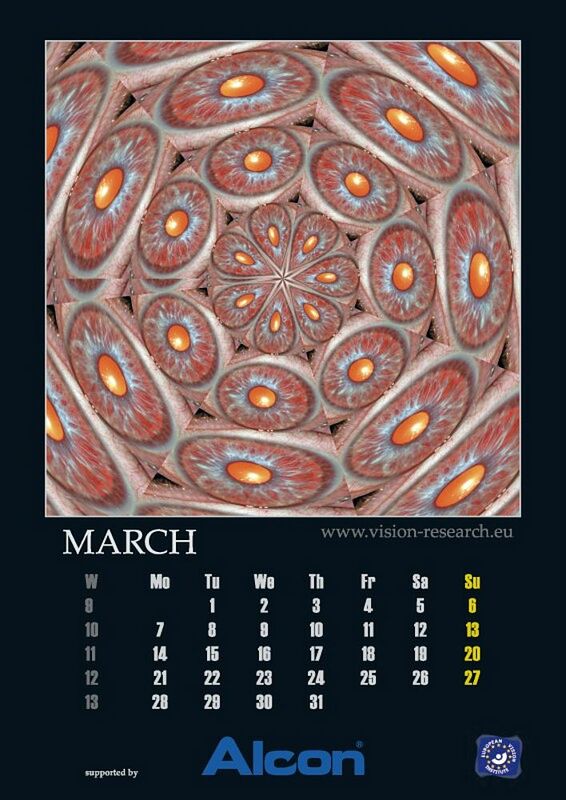 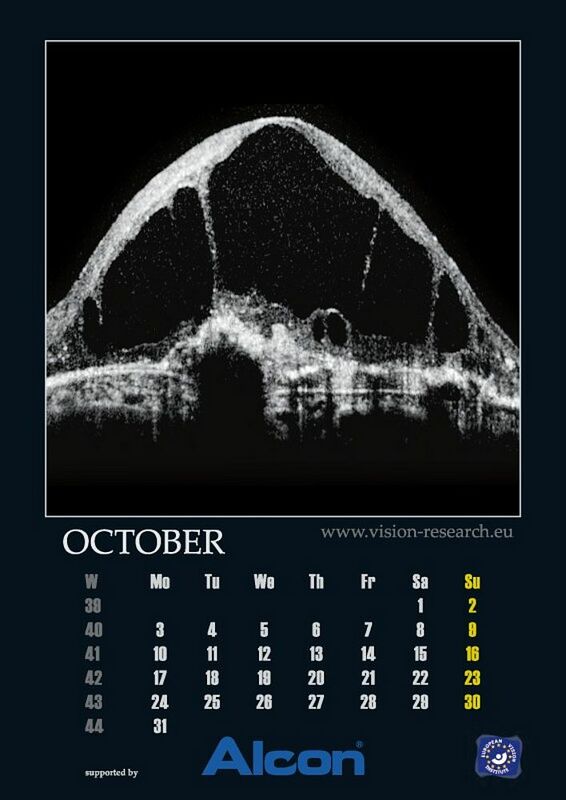 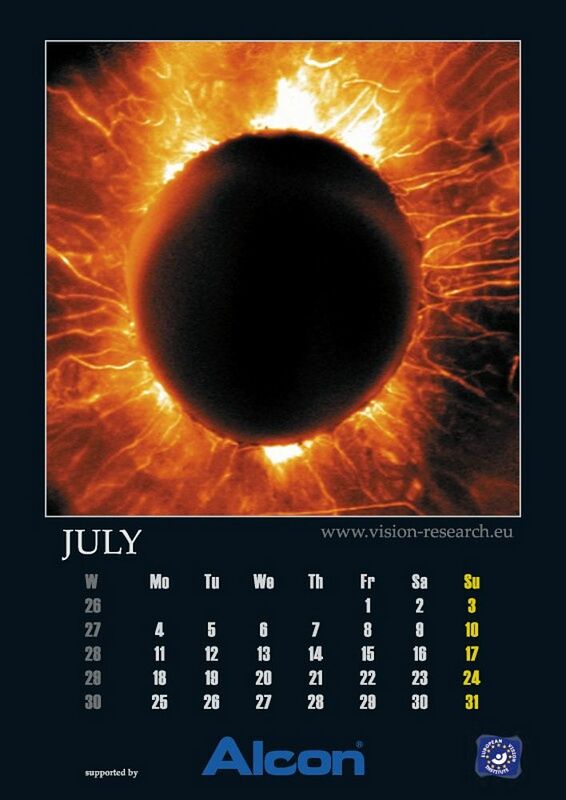 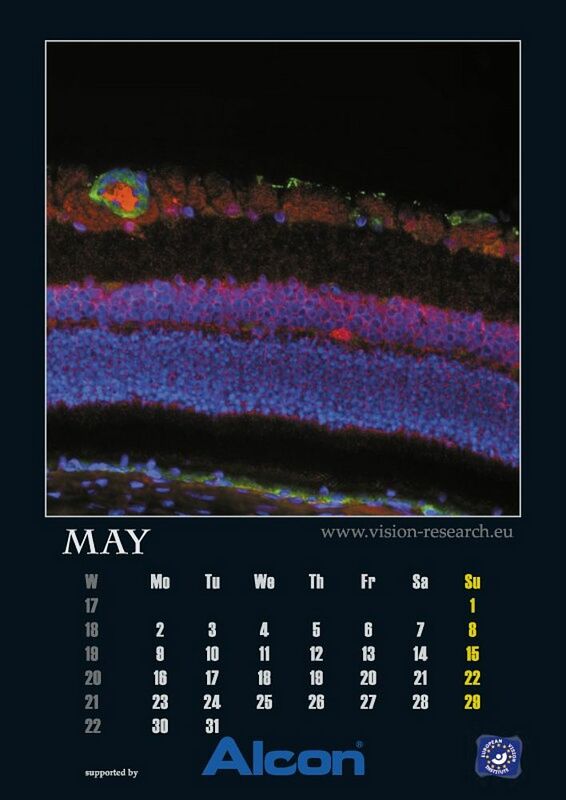 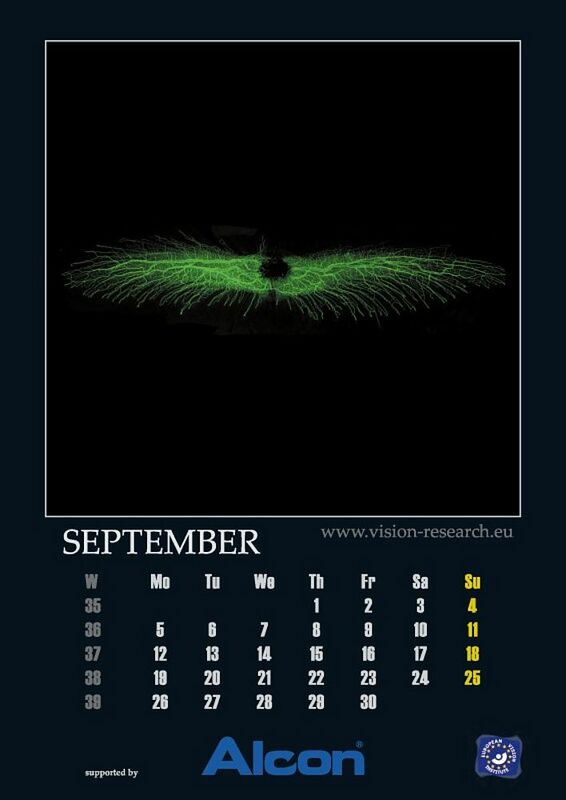 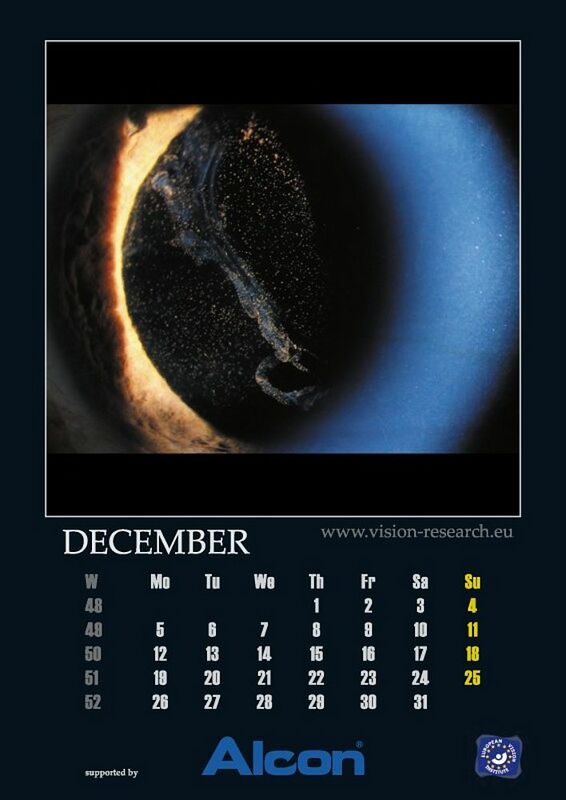 The photo motifs of the calendar are the results from the 2010 picture competition that had been posted on this web-portal where you can find up-to-date information on developments in Vision Research and Ophthalmology, covering all aspects of basic and translational research in the private and public sector. 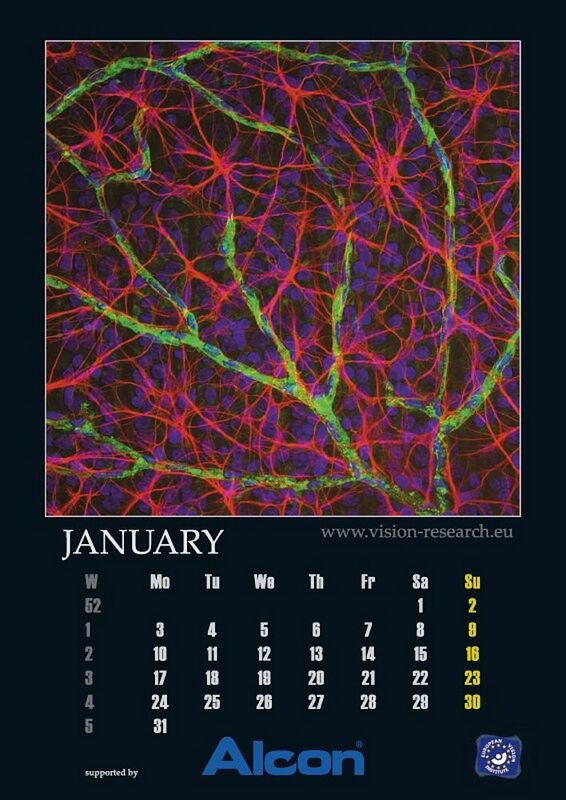 the support of Young Researchers in the field. 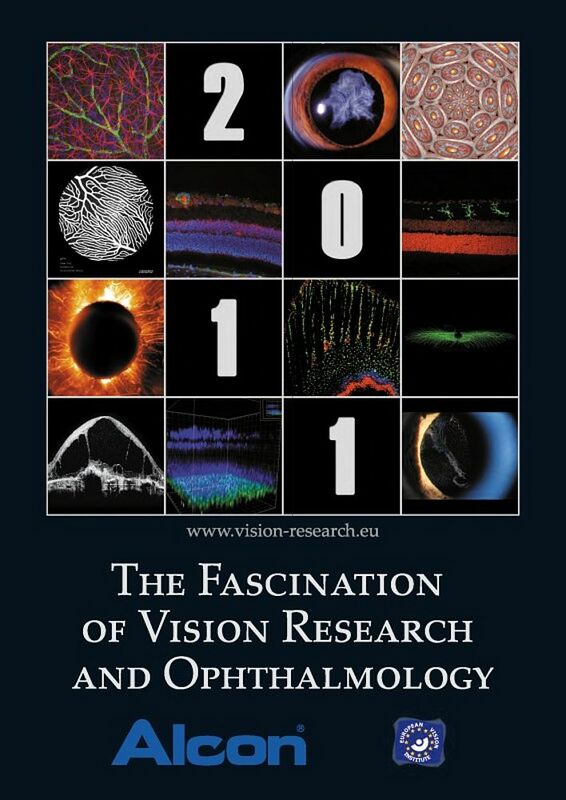 The European Vision Institute, a non-profit organization aims at devising and implementing programs and research projects for new strategies for eye diseases that are difficult or impossible to be treated presently, as blindness is one of the most feared health hazards in our present society and millions of Europeans are threatened by eye diseases producing costs of several billion Euros per year. 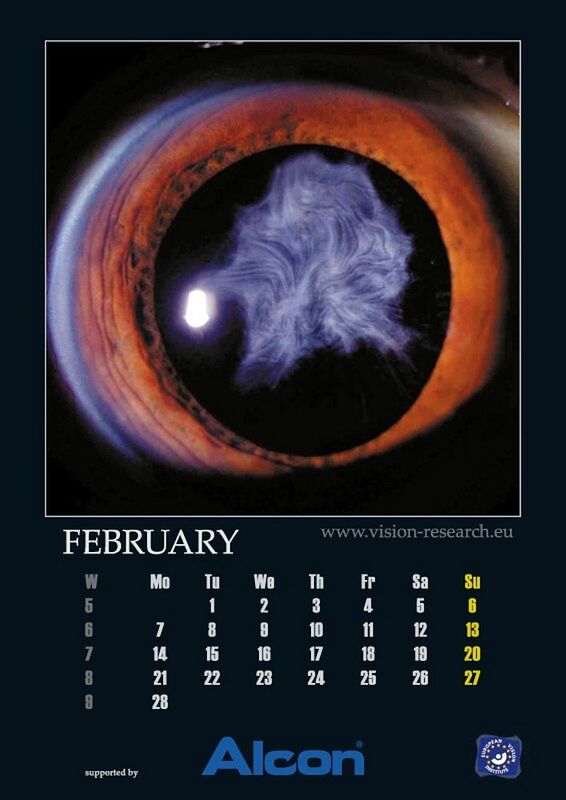 For more than 60 years, Alcon has focused on helping people worldwide see better through our core competencies – research and development, manufacturing and sales. 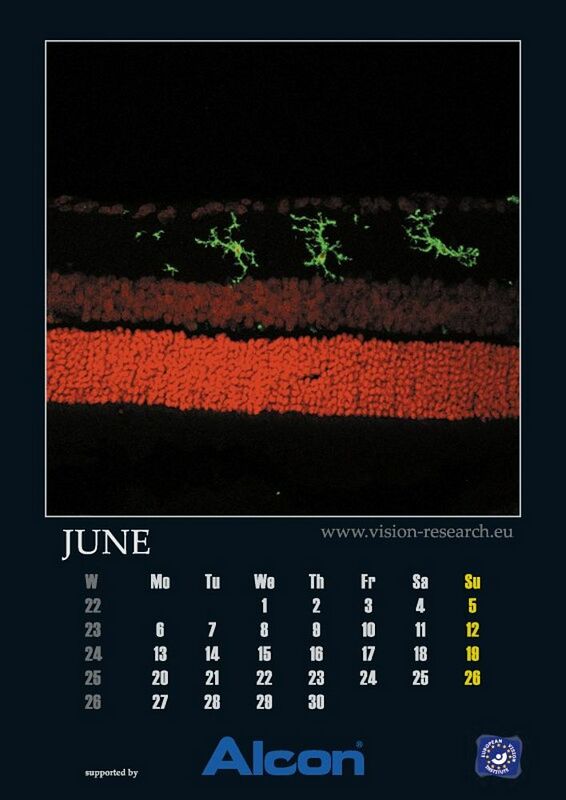 The mission of Alcon Inc. is to discover and develop innovative eye care products that improve the quality of life by helping people see better.